After passing the WAT (Wafer Acceptance Test) in the front-end wafer foundry FAB. How to handle the wafer thinning and backside metallization before assembly? Finally wafer thinning and backside metallization were finished, but you need to transport wafer to another suppliers for CP and sawing with high risk, is there any place to do it right one time? 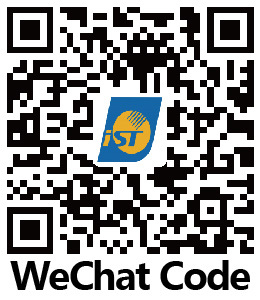 iST has recruited professional experts and implement advanced processing to assist you in completing wafer thinning and backside metallization in short time. 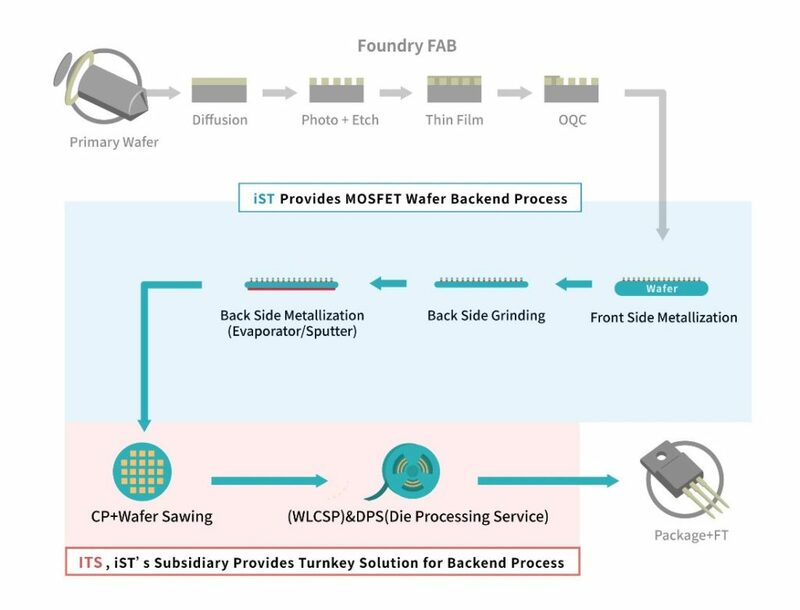 iST is capable to provide one-stop MOSFET backend solution including WLCSP, CP and DPS in cooperation with its subsidiary, ITS (see the blue and pink highlight for iST& ITS services). In cooperation with its subsidiary, ITS, iST provides various services and customized process fine-tuning between the foundry and assembly operations.